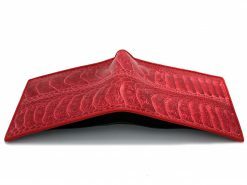 An ostrich wallet exudes class, elegance and refinement. Always in demand, an ostrich leather wallet screams high fashion. The time consuming tanning process makes ostrich wallets some of the most expensive on the market. 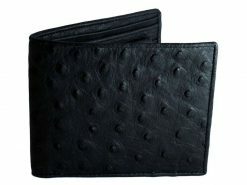 We’ve changed all that with our Real Mens Wallet ostrich range! 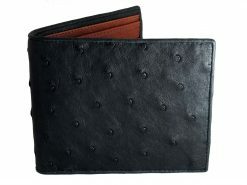 Genuine ostrich leather is used to create beautiful ostrich leather wallets. 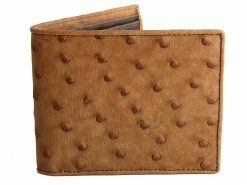 The range includes the popular quill pattern and our favorite, the unique ostrich skin wallet from the leg. 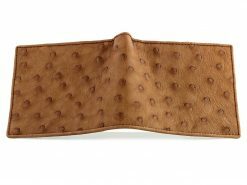 Soft, supple, luxurious and full of natural oils, a mens ostrich skin wallet will resist drying out or cracking over time. It is worth noting that we use only genuine ostrich leather since not all big birds are created equal. 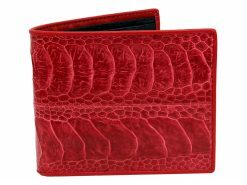 Many inferior products on the market are in fact Emu leather being sold as a genuine ostrich skin wallet. 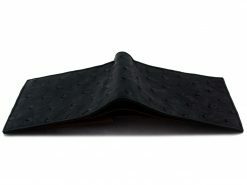 A mark of refinement and distinction, an ostrich wallet was once the sole preserve of the deep pocketed rich and famous. We have changed all that by offering you our own range made from skins carefully selected by us. Exclusive to Real Mens Wallets, you won’t find these anywhere else. 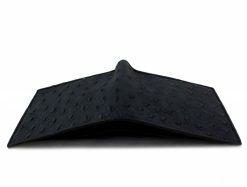 These ostrich wallets are a refined gents wallet!